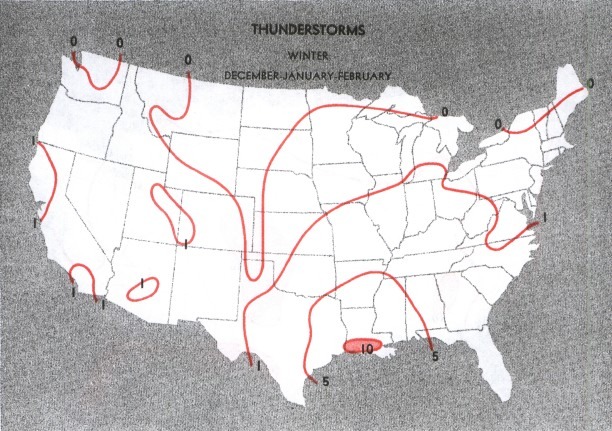 In some tropical regions, thunderstorms occur year-round. 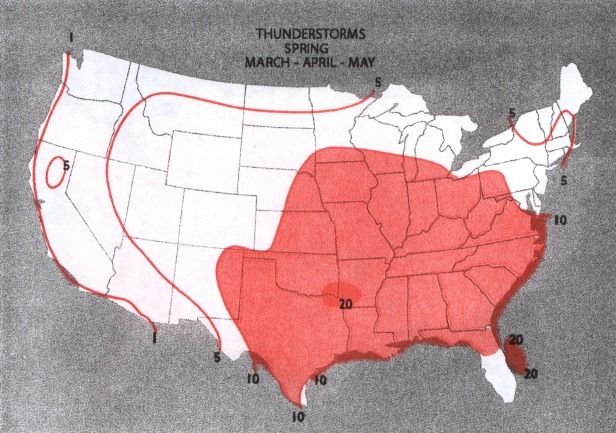 In midlatitudes, they develop most frequently in spring, summer, and fall. 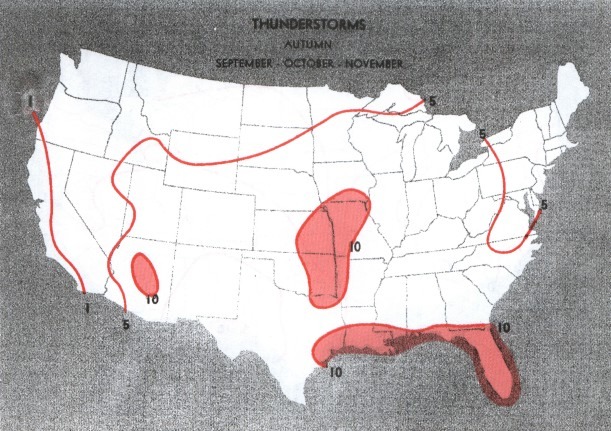 Arctic regions occasionally experience thunderstorms during summer. 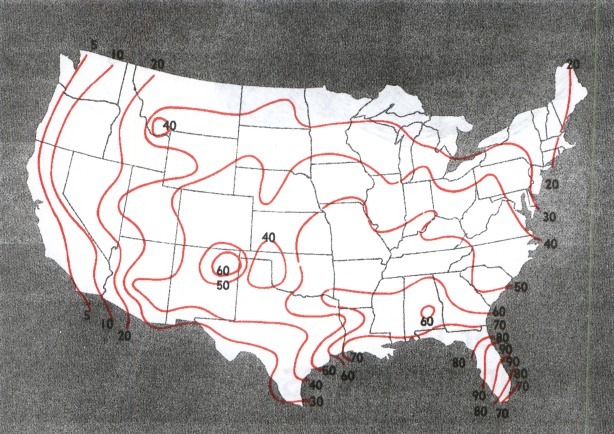 FIGURE 102. 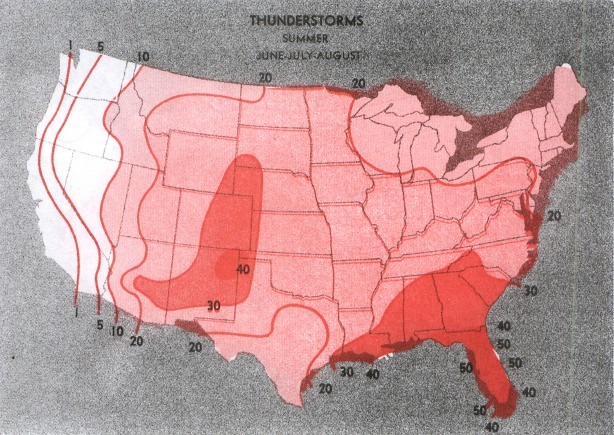 The average number of days with thunderstorms during summer.